Just about everyone I know is aware of the power of personal development goals. However, only a small number of them actually take the time to set them…and fewer still work toward achieving them. Just like online marketing, setting goals is one of the most common overlooked tools for personal development. One of the reasons for this is because there is confusion about how to properly set goals when it comes to our personal development. In this article, I’ll try to clear up some of the confusion by answering some of the most frequently asked questions about goal setting. They give direction our lives. They allow us to see where we are going…rather than letting life simply lead us to where it wants us to go. How Do I Uncover My Perfect Goal? You do that by brainstorming. That’s what I had to do in order to answer that online marketing question. I brainstormed and that resulted in uncovering my goal. Most people are not clear about what they want out of life. What Is The Best Way To Brainstorm? Let your imagination run wild! Simply write without placing any restrictions on yourself. Begin by asking yourself…What would I dare to dream if I knew I couldn’t fail? Keep writing answers to that question. The idea is to get a list of goals you find compelling. Prioritize them beginning with your most compelling goal. Then set yourself up for success by creating small interim steps. For example, your long term goal is to be more self-confident. You can begin by creating steps toward gaining more confidence…and following them step by step. Are There any Goal Setting Tools? You can use a calendar. It is a simple tool that can help you set and achieve short-term objectives. 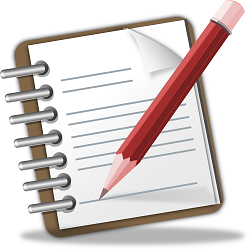 Another simple and easily accessible tool is a daily journal. By using a daily journal you can set your objectives at the beginning and then track your steps and progress day by day. You can use a daily, monthly or yearly planner also. But remember… be realistic in your time frame as well as your desired outcomes. Similarly, there are many goal setting tools available online that can help you to set, track and achieve your outcomes. Look for some tools related to your desired outcomes too…such as self confidence building tools. The bottom line is…set personal development goals, make them stick and set up for success! Boost your confidence and achieve a sense of purpose.